Assure quality and stability in the platform. Provide the ability to publish your accomplishments online. Expand our range of accomplishments. Expand and improve the documentation for our accomplishments. Provide a greater breadth of translations coverage. As we head towards these goals we are looking for volunteers to join the project and help make the magic happen. We are a very open and welcoming community, friendly and personal, and as such a fun place to get involved if you are looking for an Open Source project to join. We are very welcome to new-comers, so if this would be your first project, come and join us! The goal of Ubuntu Accomplishments is to provide an awesome way in which new and existing community members can explore and learn how to participate as well as making it easier for our users to discover how to use different parts of their computers. We are on an exciting journey, and I would love to encourage you to join us. Programmers – we are very much in need of folks who can help contribute code to the project. Ubuntu Accomplishments is written in Python and you can find out more about how to contribute here, which includes our hacking guide, and all the details for getting up and running. Documentation Writers – we need folks to help create documentation for our growing family of accomplishments. If you have a knowledge of the community and of Ubuntu, this is a great way to help! Find out how to help here. Translators – we are always looking for people to help translate not only the core system, but also all the documentation in the accomplishments. All you need to know is how to use Launchpad a little and know a second language. Find out how to help here. Testers – as we continue to grow and evolve our code-base, we are looking for daily testers who can help us to ensure we are resolving and fixing defects in the project. To help here you just need to be using the bleeding edge code and performing regular tests and reporting bugs and issues with it. Find out how to help here. You can also help by creating new accomplishments for the system (more details of how to do that here) and I will be following up with a post about this soon. First choose which area you are interested in and click the links above to find more details of how to get involved. We would also like to invite you to our fortnightly team meetings. The next one takes place tomorrow, Thursday 26th July 2012 in #ubuntu-meeting on freenode at 6pm UTC / 11am Pacific / 2pm Eastern. I hope you can join us! You can also join us in our IRC channel in #ubuntu-accomplishments on freenode and join our mailing list. If you have any questions, such as how to get started, how to learn what you need to contribute, what to work on, or anything else, feel free to come and join us in the IRC channel our mailing list, or feel free to ask questions in the comments here. I’ll look at the hacking guide and see if I can do some coding this weekend! Thanks for the interest and I look forward to you spending some time on the project!! Design. I was arguing with an Debian friend on Sunday over accomplishments, I actually think it’s a really good idea, certainly something worth investigating and seeing what happens. My friend was more of the opinion that the system is a cynical me too without much thought into what it really means to turn the desktop into a game system. The critical feature in accomplishments is design, and along with that art. most good games and gaming systems encourage adventuring and grinding through visual rewards as well as amiable goals. Points scoring, seeing your friend’s scores/accomplishments and seasonal missions related to activities in those areas… all good ideas. It’s unfortunate, but the indicators and notifier systems are really not cut out for providing the right kind of high graphic feedbacks integrated into the desktop that would be required to turn this idea in right. So that’s the kill button for me. We don’t even have a community indicator come to that, how anyone using ubuntu even knows there is a community I will never know. “It’s unfortunate, but the indicators and notifier systems are really not cut out for providing the right kind of high graphic feedbacks integrated into the desktop that would be required to turn this idea in right. So that’s the kill button for me”. I didn’t list design as an area where we are seeking contributors because right now we are pretty much fine with our current design, but that is not to suggest we could not benefit from further design thinking, proposals, user testing, and more. 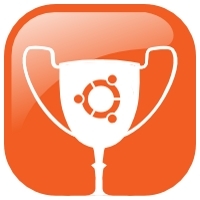 I am not sure I agree with you that indicators (which we don’t use) and notifications are not cut out for Ubuntu Accomplishments. I think notifications work well: they present the user with the desired information without requiring input. For the case that a user misses the bubble, we also list the number of new accomplishments on the Launcher icon. Again, new ideas and suggestions are certainly welcome! “I also think it should be awesome enough to go on the CD by default, since anyone and everyone should know at the very least that the community exists”. A few people have suggested this. Our goal right now is getting to a solid d1.0 before we even begin the question of being on the CD by default. “We don’t even have a community indicator come to that, how anyone using ubuntu even knows there is a community I will never know”. I am not sure I would agree: the web, the nature of Ubuntu online, and other related content often celebrate the importance of our community. However, like you, I have long desired community integration in the desktop, which is why the Accomplishments lens is a key part of the design. Thanks for your long and thoughtful reply. You’ve settled on the Cybermen design with it’s really simple, yet clinical mood. I understand why this is, but think you should aim higher. The notifications don’t support full graphics, animations, or sounds. All rather dull. It’s like being congratulated by a robot. Technical limitations really nail this app in the hoozits. The interface itself, well for this sort of task orientated application, you need to integrate with the Ubuntu task manager (if we had one) as well as the social networking manager (Gwibber will do for now). Then if you want a dedicated interface that’s outside of incidental, go for something a bit more warm and maybe include art and other media to add to the experience. I’m a little busy with lead right now, but you know my email and my inbox is always open. I like to be a volunteer.. but I don’t have a background on Ubuntu at all.. I can do support work perhaps? Awesome, I hope you can join our meeting today! I am not sure what a Cybermen design is, but I presume you mean a conventional WIMP style interface. I would love to invite you to put together an alternative design that we can discuss if you are interested. You have identified what you see as a problem, and I would be interested in seeing your proposed solution. looking to see how i can fit in! Awesome! Well feel free to ask any questions. What kind of contribution would you like to make? Programming? Docs? Translations? I am thinking about helping out. I am in Australia however an not sure how that would impact catching up with others due t the time difference. I currently study database development and design so server and web. With work and family I could commit up to 5hrs a week, some weeks more some weeks less. Do you think there would be any use in me joining? I missed it for some official reasons, but nevermind, 3/4th of my weekend is dedicated to Accomplishments 🙂 I needed a project and here it is. One step at a time!